Munich’s largest park, the English Garden lies to the northeast of the Munich residence. The park offers a green serenity and wooden pathways to walk in a calm environment. It may even be larger than New York’s Central Park. You can explore the lake in a paddleboat, and visit beer gardens. This Catholic Cathedral of Our Blessed Lady is the fourth largest church in Munich and a landmark of the city. 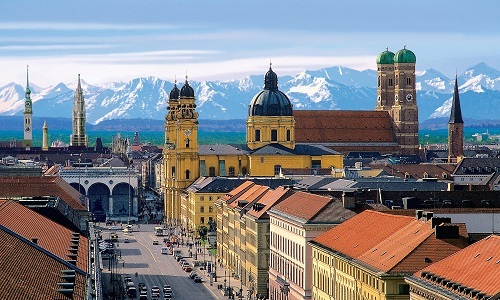 Climb the tower steps to reveal a breathtaking view of Munich city and the Bavarian Alps. The church can contain 20,000 people! It is also an architecturally beautiful building to explore which dates from the 15th century. The domes on each tower are modeled on the Dome of the Rock in Jerusalem. 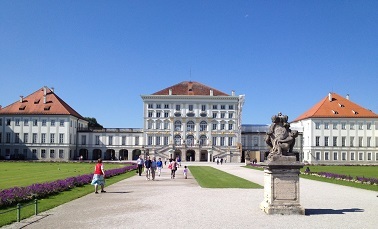 Home to the Bavarian rulers and the seat of government from 1508 to 1918, the Munich residence is a lavish palace to explore. It underwent many transformations through the eras and now it is open for visitors to explore ballrooms, galleries, chapels and gardens since 1920. Rare collections of silver, miniatures , furniture, sculptures and other antiquities from the 16th to 19th century reflect the wealth and power of its occupants which are at the disposal of visitors to view. Having been built in 1664 as a small Italian villa for summer residence, the palace found itself remodeled and enlarged through five generation of the Wittelsbach rulers. Visitors to this palace can explore the grandiose of the interior and exterior laid out in French style with English gardens, complete with furnishings of that era. The Deutches museum attracts 1.3 million visitors each year due to its popularity of scientific attractions. It was opened in 1925 and is one of a kinds scientific technological museum showcasing a variety of over 100 years of technological and scientific milestones from all fields such as telecommunications, aerospace, navigations, railway, marine, computers, mining, and music. It contains 18,000 artifacts in total from all these fields. It is a true heaven for science enthusiasts.